We had done our hike into the mountains, and taken our sunset photographs. But as we were trekking out, the clouds opened up one last time to let through some amazing twilight glow behind the mountain range. I quickly found a nearby river, and set myself up to capture this enchanting scene. Twilight can be really amazing for those really cool tones combined with a soft magenta glow. 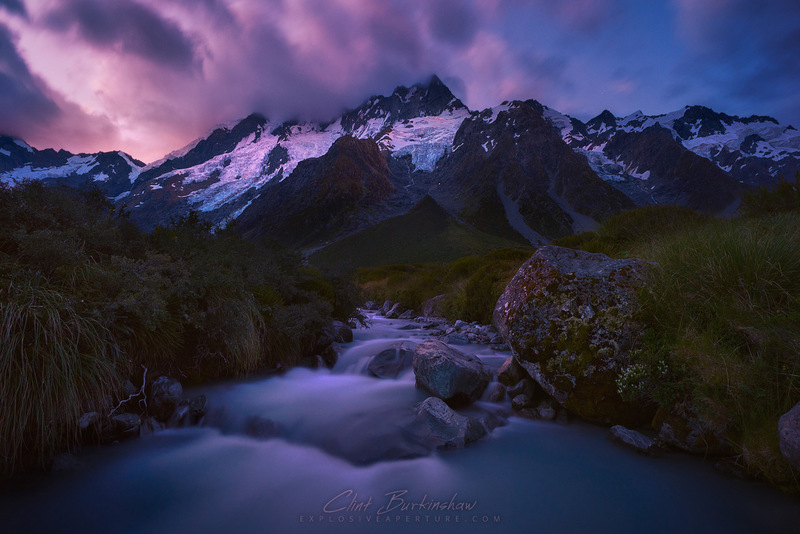 This photograph was taken somewhere in the Aoraki/Mount Cook National Park.